We pride ourselves on personalized service and have the most experienced repair staff in the industry! From trains to transformers we repair and recondition all gauges regardless of age! 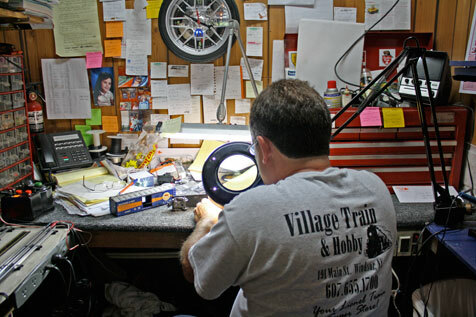 We specialize in Lionel Train repair and are an MTH Authorized Service Center. We are your # 1 source for parts! We stock parts for Lionel, American Flyer, Ives, Marx, and more! We have the inventory you need to build the model railroad of your dreams in any scale. We can bring your train set layout dreams to reality! Our knowledgeable staff are skilled model builders with decades of experience in the model railroad industry. We design and build train layouts for collectors, kids, parents, and grandparents. We offer seminars on model train landscaping, general repair, and maintenance. Contact us for more information.